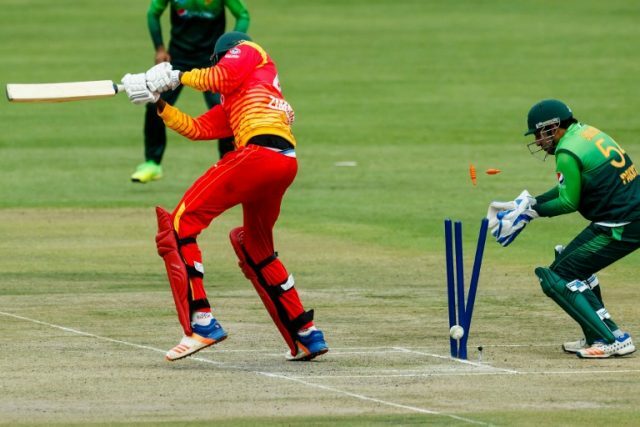 Pakistan sealed a series win after strolling to a nine-wicket victory over Zimbabwe in the third one-day international on Wednesday. Pakistan seamer Faheem Ashraf took a career-best five for 22as the hosts were skittled for just 67. The total was the home side’s lowest ever against Pakistan, and the lowest ever recorded in 78 ODIs at Queens Sports Club. In reply opener, Fakhar Zaman then hit an undefeated 43 as Pakistan needed just 10 overs to seal the victory and take an unbeatable 3-0 lead in the five-game series.